Watch Get The Math - Math in Music Intro on PBS. See more from THIRTEEN Kids. I have mixed feelings about the whole effort to make tutorial videos about doing math. Not so much about whether they are a good idea but more about the quality of what is out there. There are certainly large repositories (the Khan Academy) but its navigating those videos can be a problem. Phoenix College has tried to address that with this simple interface. Start with a topic and then that is further broken down into sub topics until you find the video you want. Thanks to Free Technology for Teachers for turning me on to this one. Download this free poster of colour coded trig identities from the Math Four site. A nice visual aid that you could print out for your grade 11 students. I like this simple experiment. 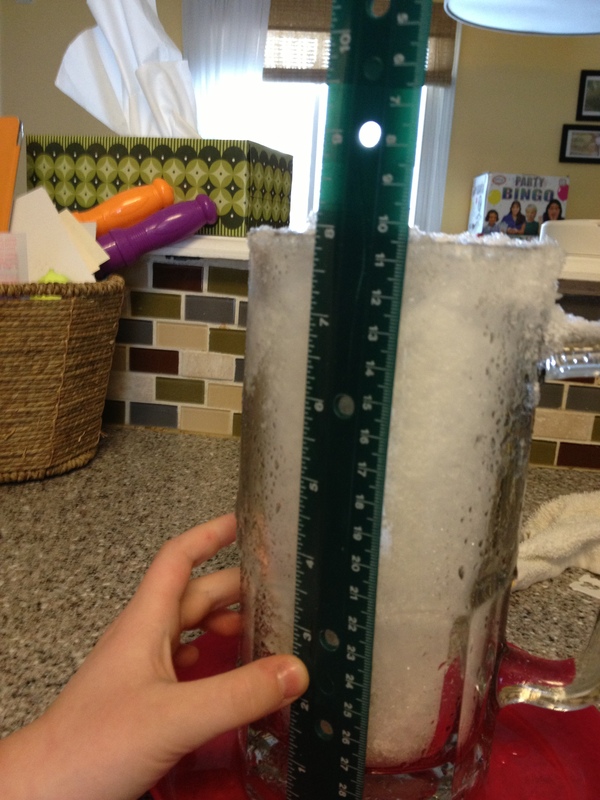 Next time it snows (hopefully not soon), fill up a glas with it and estimate the amount of water when it melts. You could create all sorts of data when doing this and then use that to connect snow fall with regular precipitation. localized to one area. At least that is what it seems a new research paper is saying. Read more here. Thanks to Mark Esping for this one.